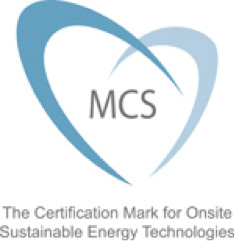 By becoming an approved installer under the MCS Scheme, Williams Renewables has been recognised for its first rate method of working, including everything from designing the most appropriate system for the customer, to ensuring every installation completed to the highest possible standard. The RECC assurance scheme was set up by the Renewable Energy Association. It aims to guarantee a high quality experience for consumers wishing to buy or lease small generation units for their home, for a community building or for a small business. RECC membership is a sign that the supplier has agreed to abide by the high standards set out in their consumer code. The RECC logo is a symbol of professional excellence. IWA is a market leading insurance provider for the construction industry, backed by Elite Insurance Ltd and regulated by the FSA. By work with IWA, this provides Williams Renewables customers with third-party cover and 100% reassurance that should anything go wrong, they are covered. IWA are very selective over who they work with and agreed to insure Williams Renewables following an audit and taking references from our suppliers. Williams Renewables have been selected, trained and certified by REC as a Solar Professional installation company. We have been recognised as a company with the proven expertise and experience in installing solar solutions that REC have given us their stamp of approval. It identifies us as a company that follows the highest technical and safety standards. Williams Renewables are able to offer an extended warranty on REC modules for roof mounted systems up to a maximum 100 kWp. You would receive a 10+2 year product warranty in addition to REC’s 25 year linear performance warranty. REC is a leading vertically integrated player in the solar energy industry. Ranked amongst the worlds largest producers of polysilicon and wafers for solar applications and a rapidly growing manufacturer of solar cells and modules. REC also engages in project development activities in selected PV segments. Founded in Norway in 1996, REC is an international solar company, employing about 3700 people worldwide with revenues more than EUR 1.7 billion in 2011. CSCS was set up in the mid-90s with the aim of improving site workers’ competence to reduce accidents and drive up on-site efficiencies.